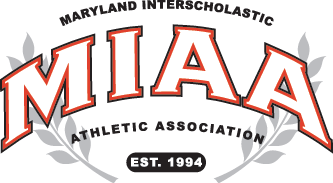 Both top teams in the MIAA B Conference soccer standings prevailed on Friday afternoon as first place Boys’ Latin edged defending champion Friends, 1-0, and second-place Severn downed rival St. Mary’s, 2-0. Avery Tankersley scored the lone goal for BL (10-1-1, 10-0 MIAA B) off a feed from Owen Reid. Severn (10-3, 9-1 MIAA B) grabbed a 1-0 first half lead on a score by Jacob Laine and Colin McCarthy made it 2-0, with a second half goal. Jack McCarthy and Nathan Gauthier provided assists for the Admirals. The Lakers and Admirals are pulling away from the field in the chase for the top two seeds in the B Conference. Concordia Prep (5-2-1), Friends (5-4-1) and Saints Peter & Paul (5-4-1) are all tied for third place with 16 points. Park (4-4-1) is just three points back of those three and also in excellent playoff position.